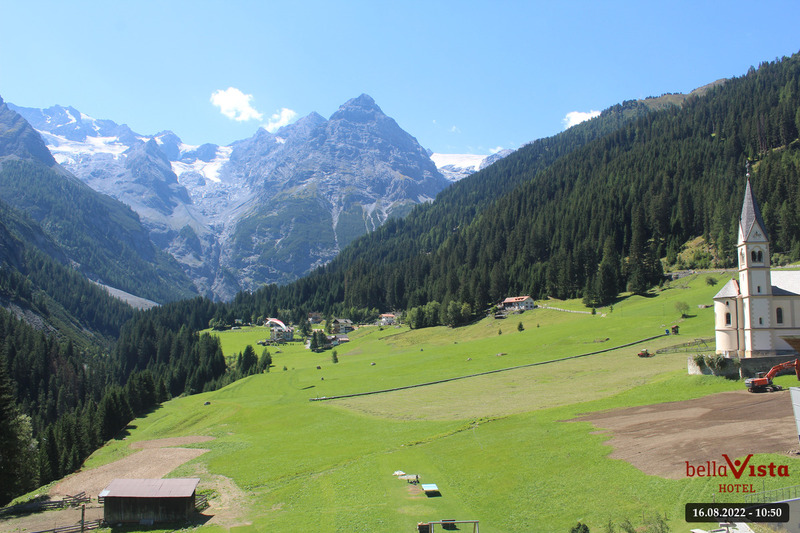 The consummate beauty of the Alps: a mountain holiday in Trafoi means hiking at the foot of King Ortler, along ancient paths, through shady forests and across rolling alpine pastures. The raging water plunges down into the valley. Elemental forces are fascinating, fulfilling the moment. Pause for a minute, and let your gaze wander. Experience happiness that can be felt deep in your heart. Mother Nature’s show on a silver screen. Stelvio National Park as the stage. With all of its Alpine actors. Eagles, Roe deer, chamois, marmots: animals that live in this protected habitat. Even plants that no longer exist elsewhere still grow here. A little world full of great experiences. Rates includes half board and VenostaCard 2019; plus a local tax of € 1.50 per day, per person, for anyone over 14 years old. For bed and breakfast: -10%. Our special Kids-weeks: two adults and one kid until 7 year, at the price of only two adults for a stay of at least one week.